Brownies are one of our favorite desserts. They are quick to make, are perfect for get togethers and are all around delicious. 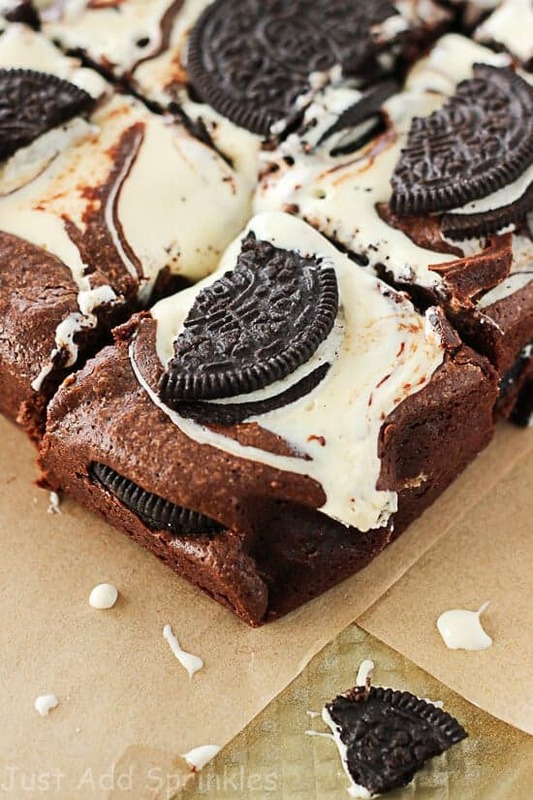 Lately, bakers have been adding more flair to their brownies, and Oreos are super popular. Keep reading for some super sweet Oreo brownies that will have you buying the iconic cookie in bulk. 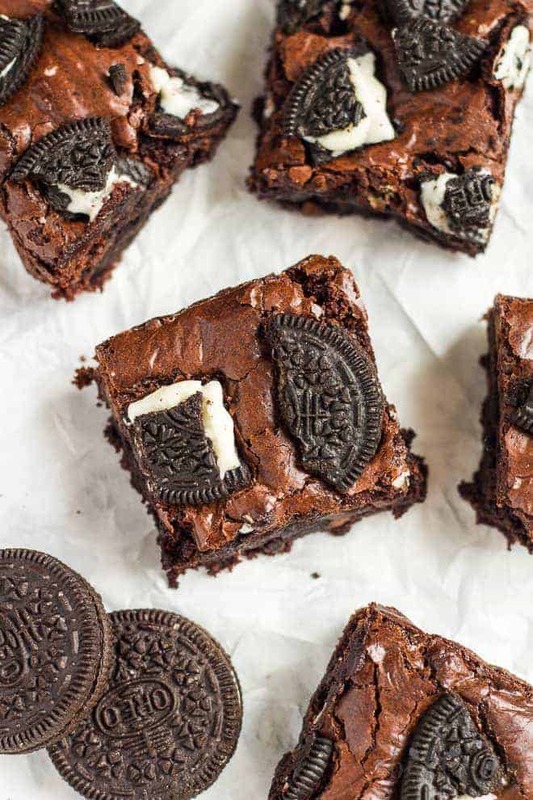 Thick, fudgy but also crunchy, these Oreo brownies are perfect for satisfying your sweet tooth. They are mixed in 1 bowl and are made with cocoa powder, chocolate chips AND Oreos, so this is one seriously chocolatey recipe. Check out MarshasBakingAddiction.com for the entire recipe and tons of other baked treats. 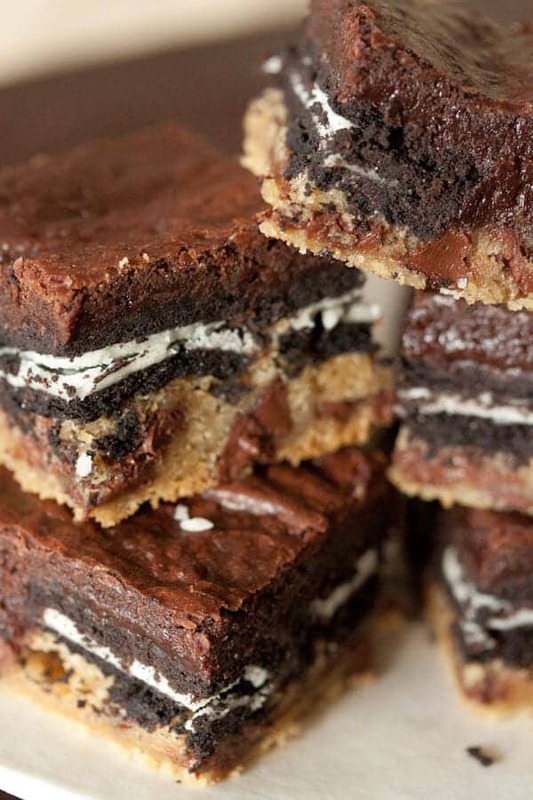 Brownies, Oreos, cheesecake––oh my! If this brownies don’t tempt your sweet tooth, I don’t know what will. Skip the boxed brownie mix for this recipe, and whip up a simple version in a bowl; no mixer required! Layer with double Stuf Oreos, then a layer of light and fluffy homemade cheesecake to balance out the chewy, gooey brownies. See how it’s done at OMGChocolateDesserts.com! 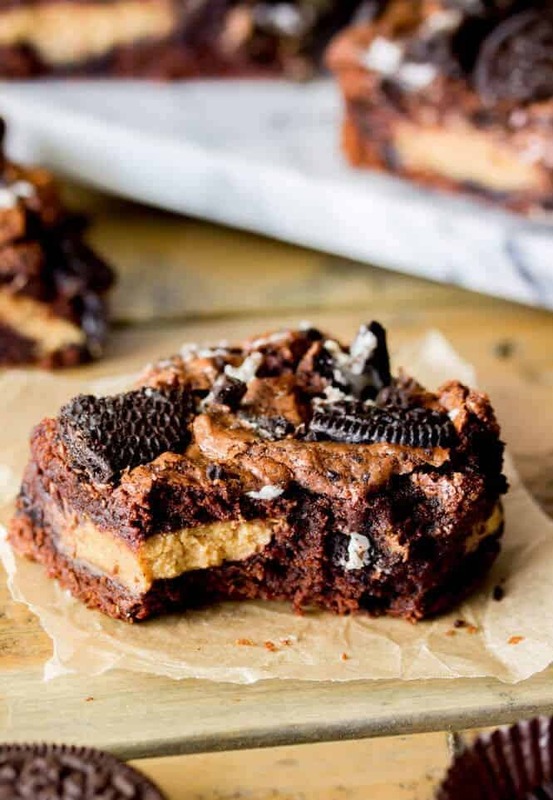 A little bit of everything goes into making these treats, hence the name, “Slutty Brownies.” Cookie dough is layered on the bottom, Oreos are added next, then topped with homemade brownie batter. Need we say more? 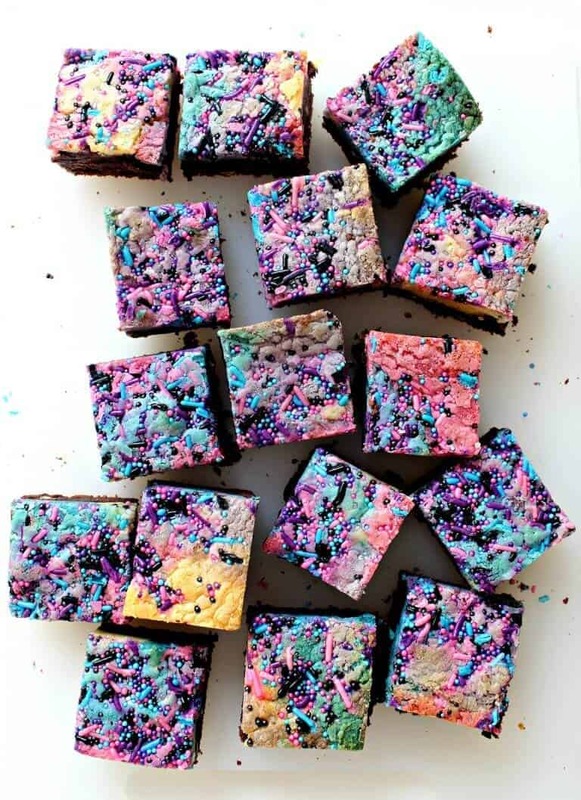 You know these brownies are amazing because they come from personal chef, Gaby at WhatsGabyCooking.com. 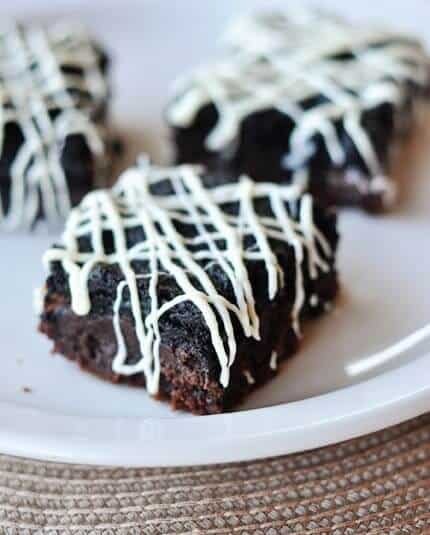 Rich brownies are finished off with a homemade Oreo Truffle topping in this tasty treat. The delectable topper is made with cream cheese, crushed Oreos and white chocolate that’s drizzled to perfection. The crunchy layer is a perfect addition to the chewy brownie underneath. Check out MelsKitchenCafe.com for the entire recipe. These brownies are only dirty because they’re going to add 10 pound to your thighs just by looking at them! Made with brownies, whole peanut butter cups AND Oreos, they taste like a bite of heaven. Good luck stopping yourself from eating the entire pan. Snag this recipe and other amazing baking recipes from SugarSpunRun.com. 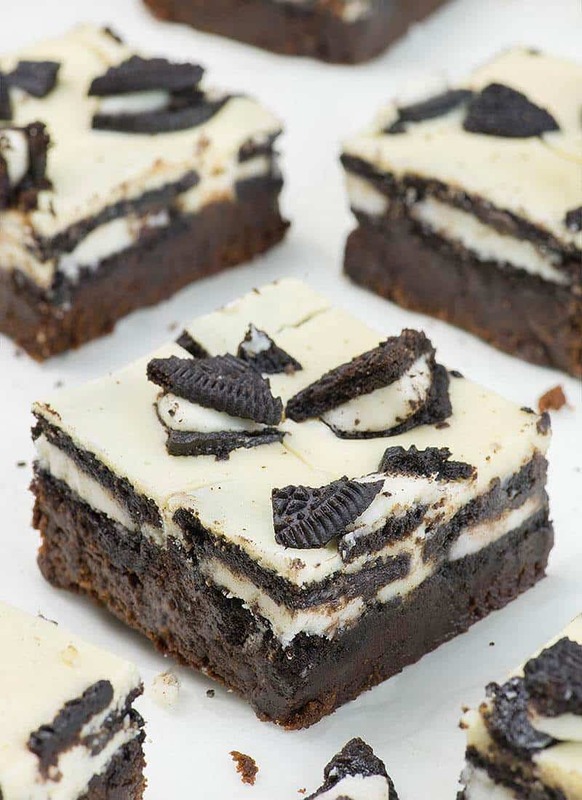 As if Oreo brownies could get any better, this recipe calls for a layer of BUTTERCREAM with even more Oreos tossed in. And bonus, it even uses a box of your favorite boxed brownie mix to save you some work. The buttercream is homemade, but worth every second of preparation. 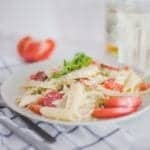 Check out this recipe and tips cooking in a high altitude at MountainMamaCooks.com. 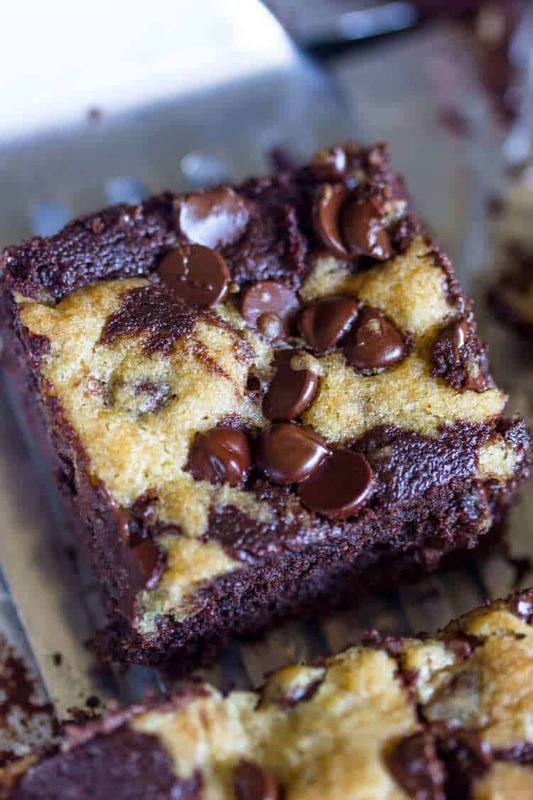 It’s a brownie, it’s a cookie- it’s a brookie! 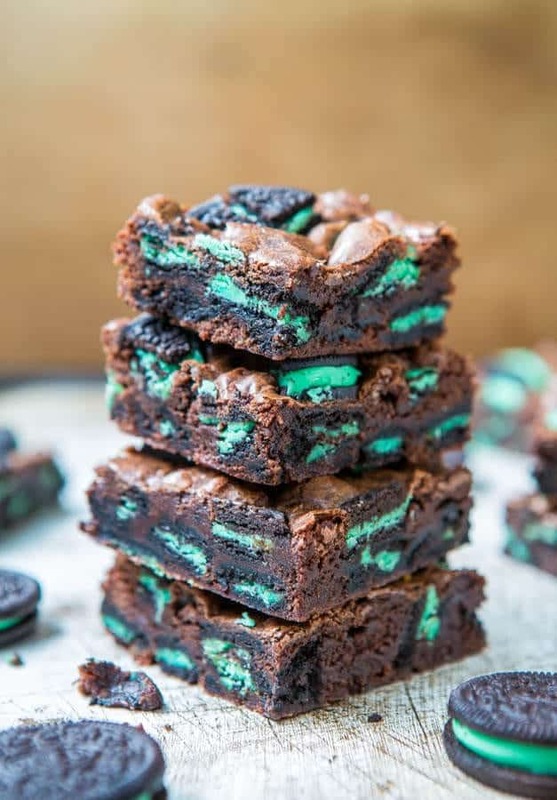 For the dessert lovers out there who draw no lines when it comes to adoring all treats, these mint chocolate brookies are for you. Made with mint Oreos, this treat is equal parts refreshing and devilishly delicious. Check out AverieCooks.com for the full recipe. Brownie, Oreos and marshmallow toppings- what could go wrong? Oreo cookies are sandwiched between two layers of brownie batter, then topped with melted marshmallows. A few swirls with a knife to get the gorgeous look in the photo above, then add more Oreos until your hearts content. Now THAT’S a gooey brownie! 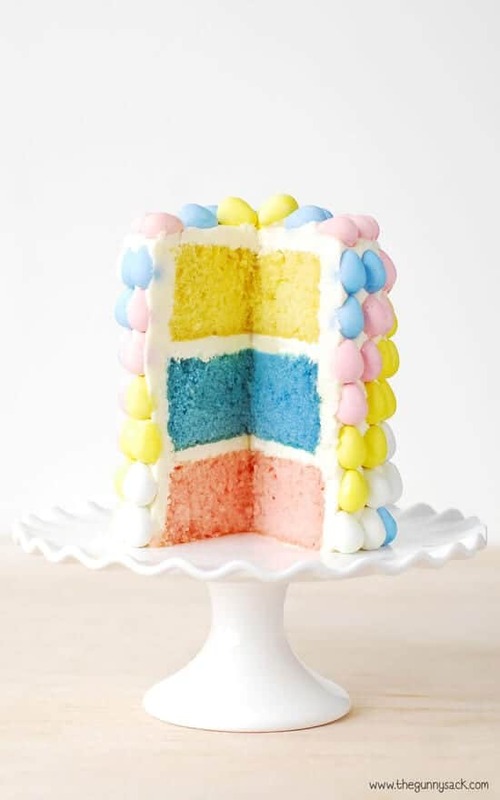 Find plenty of baking recipes at Just-Add-Sprinkles.com. 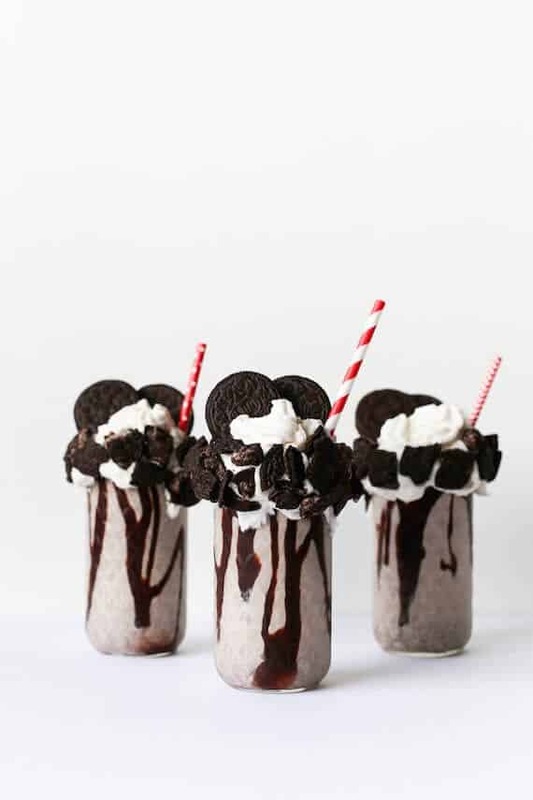 Need some more Oreo recipes? Love Eating Cookie Dough? 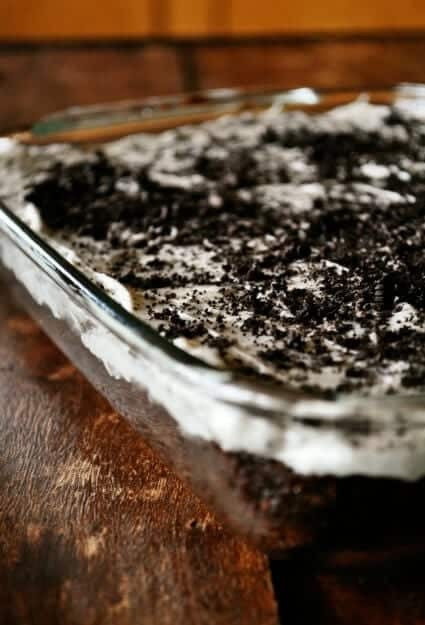 You Have To Try This Egg Free Oreo Dip!